In the midst of an explosion of new collaboration tools, it can be difficult to know which might be right for your organization, and easy to assume that the best course will be to stick with what you know. But the benefits of quickly evolving IM, presence, telephony and video tools are real. 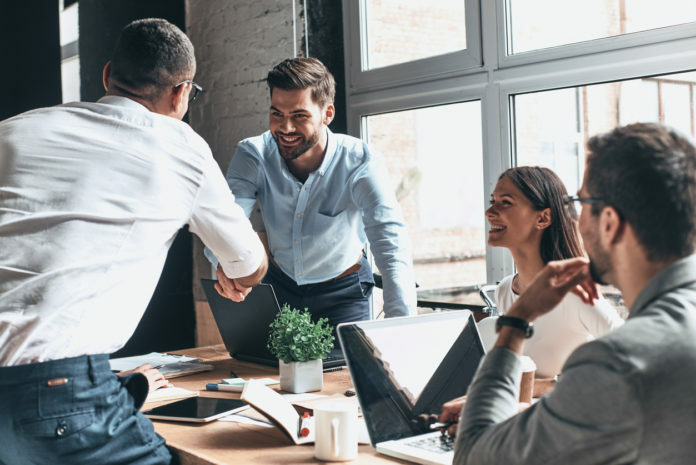 These five resolutions will help employees collaborate better — improving productivity and employee retention in 2019. The need to update your organization’s collaboration tools might be more pressing than you realize. If the company isn’t providing a way for workers to stay connected that works for them, they tend to find their own ways – often using their personal devices or apps. This is called “rogue IT,” and it can put the organization’s data at risk. Your first resolution should be to acknowledge that inaction has a price, and can prompt employees to find their own solutions that might not be the right ones for the whole team. To reinforce the value of your company’s collaboration tools, you might want to seek employee feedback, which brings us to our next resolution. Resolution #2: Ask coworkers what their needs are on a more regular basis. Employees will have thoughts on what’s working or not working with your current environment. As we head into the new year, ask them to articulate this, how they work together day-to-day, and what they think will help them work together better. An anonymous survey is an effective way to collect this feedback. Are there patterns in coworkers’ responses? Are they curious about team chat applications like Microsoft Teams or Cisco Webex Teams? 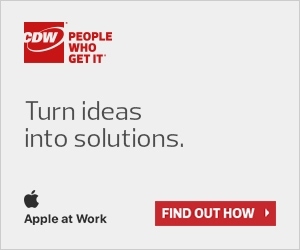 Once you have a feel for their needs, CDW’s Solution Architects can help you meet them. Resolution #3: Empower the workforce with options for working anywhere, anytime on any device. It’s not always possible for the whole team to be together in the same room or office, but with the right tools, it can feel like they are. The benefits are more than practical: when people feel connected to their coworkers, and have the freedom to work offsite, they’re more likely to stick around. In fact, 70 percent of millennials say the ability to work remotely at least one day a week would make them more interested in an employer. What’s more, up to 90 percent of workers say they want the option to telecommute, according to Global Workplace Analytics. The collaboration tools you choose should work on the devices employees already use, and in the places they prefer to work. That means video conferencing that works seamlessly across mobile and desktop devices, like Skype for Business or Cisco TelePresence, and software that lets an employee start a task on one device and pick it up on another without missing a beat. Can people in your organization work anywhere, anytime, on any device? If not, resolve to make it possible this year. Resolution #4: Provide regular training on tools. Modern collaboration tools are designed to make it easier for workers to communicate with each other, but they also have nuances that can be bumps on the road to better collaboration. Some issues will only crop up once employees have begun using the tools on a daily basis. They might need to tailor notifications, or have questions about advanced search functions in a team messaging app. You can make the process smoother in 2019 by offering training from the outset and checking in with employees regularly throughout the year. In many cases, tools will gain new features that will need to be communicated to employees. Make a resolution to provide structured, long-term and ongoing training on your existing collaboration tools. Resolution #5: Start setting an example with your communication habits. It’s important to lead by example. Initially, employees might struggle with incorporating team messaging, video conferencing or file sharing into their workflows. Resolve to use the tools as your primary means of interacting. This will help demonstrate the benefits and accelerate adoption among your employees. By committing to these resolutions, you’ll be able to improve collaboration across your organization and demonstrate the impact IT has on the business’s success. Learn how CDW can help you take a user-centric approach to collaboration. Previous articleWhat is an Application Centric Network?